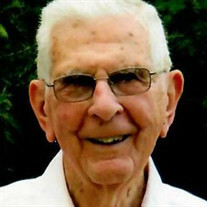 George A. Wray, age 102, of Irwin, passed away Sunday, June 3, 2018. He was born April 26, 1916 in Altoona, a son of the late James and Minnie Luemma (Heacox) Wray. He was a long-time member of New Hope Presbyterian Church in North Huntingdon where he served as an elder and on their property committee and was proud of his membership in the Norwin Men’s Prayer Fellowship. He was a World War II Army veteran that served in the 188th Combat Engineer Battalion attached to General Patton’s 4th Armored Division. He retired after 42 years as a production coordinator for Westinghouse Corporation in East Pittsburgh. He was a lifetime member of Shidle Lodge F&AM No. 601 of Irwin, a 32 Degree life member of the Ancient Scottish Rite Valley of Pittsburgh, and a member of the American Legion and VFW Post 781 in Irwin. In addition to his parents, he is preceded in death by his wife of over 71 years Clara Ellen Wray; brothers Robert and James Wray; and sister Erma Jean Wilkinson. He is survived by his daughter Janice E. Wray of Level Green; Nieces Carol Micklow of Allison Park, Bonnie Hopkins of Altoona, Janeen Swope of Derry, Roberta Summers of Hoffman, Illinois and Suzanne Grimme of Harrisburg; and his beloved dog and companion Suzy Q. Friends and family will be received from 2 to 4 and 6 to 8 p.m. Wednesday at the William Snyder Funeral Home, Inc., 521 Main Street, Irwin, 724-863-1200. A funeral service will be held at noon on Thursday at the New Hope Presbyterian Church in North Huntingdon with Rev. John C. Pressler officiating. Interment will follow at Union Cemetery in Irwin. A Masonic service will take place at 7 p.m. Wednesday in the funeral home. Memorial contributions can be made to the New Hope Presbyterian Church, 12727 Lincoln Way, Irwin, PA 15642 or the charity of your choice. 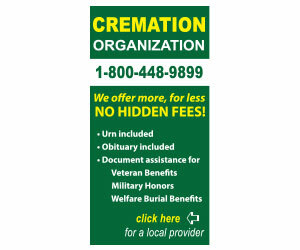 For online condolences please visit www.snyderfuneralservices.com. 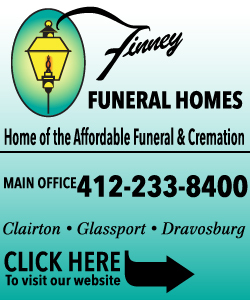 To send flowers or a memorial gift to the family of George A. Wray please visit our Sympathy Store. Originally published June 05, 2018. "Dorothy L. Oskin" || "Ruth Jane Kimball"